Dr. Yaymadjian is a licensed marriage and family therapist and is the founder of Hillside Wellness Center. She attended The Chicago School of Professional Psychology where she obtained her doctorate in clinical psychology specialization in marital and family therapy. Dr. Yaymadjian’s dissertation focused on “The Possible Relationship Between Jungian Personality Types and Burnout Risk Levels Among Psychotherapists.” From this she developed a self-care and burn out prevention workshop where she volunteers her time and conducts trainings for mental health professionals all throughout the states. 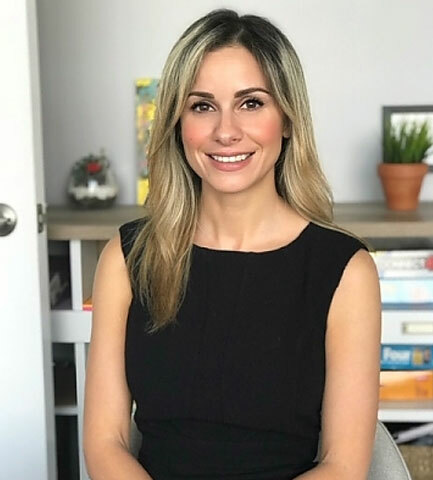 Dr. Yaymadjian is trained in Jungian psychodynamic psychotherapy and works primarily with women suffering from postpartum depression, self-esteem issues, individual struggling with addiction, and trauma related disorders. She completed her internship at the Maple Counseling Center in Beverly Hills and continued to complete future years at various residential treatment centers, while building Hillside for the community. Dr. Yaymadjian is passionate about helping her community and especially working with mothers and new parents who are in need of support and guidance. She focuses her work in the community to help reduce the stigma of psychotherapy and help promote positive mental health through Hillside's affordable therapeutic services. In addition, she is an adjunct professor at Pepperdine University and Pacific Oaks College, where she teaches courses in, Addiction and Substance Use, Law and Ethics, and Diagnostic Skills.